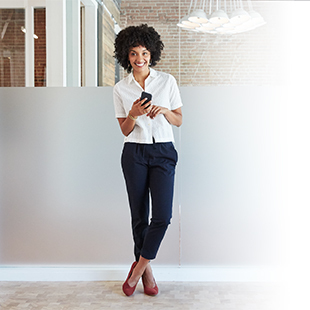 From cloud-based network lab validation to API training to multi-vendor introp testing, Ciena’s new Emulation Cloud environment has brought a DevOps style to our customers’ networks. Ciena’s Erik McLaughlin gives a one-year progress report on the new application development environment. 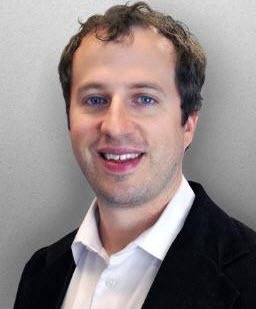 Erik McLaughlin is a Product Line Manager within Ciena’s NMS & Design Tools team, where he focuses on development of Ciena’s Emulation Cloud platform. 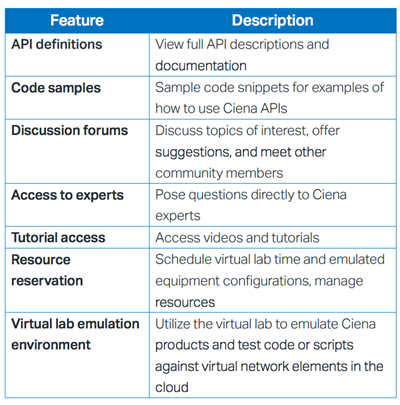 In what has been a relatively short twelve months of existence, Ciena’s open application development environment, Emulation Cloud™, has gained quite a bit of attention across a wide range of Ciena customers, partners, and developers, encompassing traditional Service Providers, Internet Content Providers, Enterprise, and Research and Education (R&E) customers. As with any launch or release, we’re eager to see who’s using it, what they’re doing with it, how we can improve the experience, and overall, what kind of grade Ciena is scoring with our customers. Just in case you’ve been holed up in a darkened corner of your server room for the last year and missed the big news about Emulation Cloud, here it is in a nutshell. 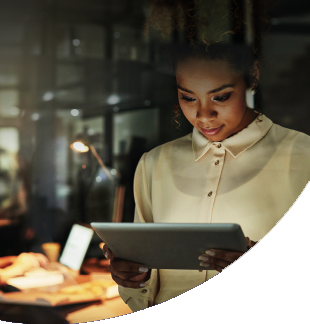 Emulation Cloud offers secure, cloud-based access to both Ciena’s hardware and software product-based REST APIs (Application Programming Interfaces). These APIs are being driven by the same hardware simulators that the Ciena R&D team uses to develop and test our products. It’s DevOps at its finest. Emulation Cloud delivers a self-contained environment where users can browse API documentation, get online video help, and access a community forum which offers both public and private chat areas (you can register for free right now if you’d like to check it out). So now that we’re at the one-year mark let’s give Emulation Cloud a proper report card. What’s the best way to “test” a new project like Emulation Cloud? With real students of course! 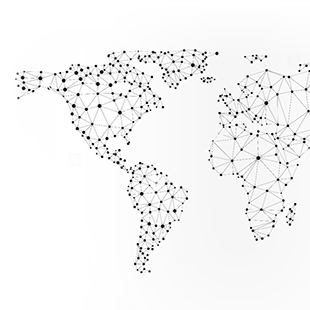 Last year Ciena hosted its first application development competition, called the Open Networking Innovation Competition (ONIC), and it was a massive success. During the competition, students from R&E institutions developed software applications for Ciena’s Waveserver platform using the Emulation Cloud environment. The competition not only validated the benefits of open APIs but also the simplicity of Emulation Cloud. Groups of students with no prior knowledge of Ciena equipment leveraged Emulation Cloud’s documentation, online help, and integrated Swagger application to give them the tools needed to deliver an application to manage Waveserver in less than a month – and that’s only coding part time in addition to their full-time student workloads! We hope that all these students received A’s in their classes that semester. We’re pretty sure they did. So what did we learn from the ONIC experience? Reducing obstacles and friction in order to have a real-world testing environment is the key to success. For example, in the past, users would have to overcome a lack of proper documentation, no available REST APIs, individual API testing (with no Swagger integration), and figure it all out without a one-stop online community for support. In other words, it would be like taking your final exams with no study group, textbooks, or notebook paper. Sound impossible? It sure used to feel that way, until now. Groups of students with no prior knowledge of Ciena equipment leveraged Emulation Cloud’s documentation, online help, and integrated Swagger application to give them the tools needed to deliver an application to manage Waveserver in less than a month – and that’s only coding part time in addition to their full-time student workloads! With Emulation Cloud in Their Backpacks, Where are our Customers Going? Training – One of the most powerful benefits of open APIs is the immediate access to online documentation. Emulation Cloud’s integrated Swagger interface provides up-to-date documentation of all external REST APIs, allowing the user to not only read up on the API instead of trying to find a manual on the topic, but actually test out the API with their own inputs with the API returning the data along with a validity response message. So now anyone with registered access can freely book time at their own leisure to bring themselves up to speed on the APIs. We’re giving this timesaving feature an A+. Emulation Cloud’s REST API integration and testing functionality has proven to be a highly efficient and flawless setup for Ciena’s next generation NMS & SDN platform, Blue Planet Manage Control and Plan (MCP), and for MCP integration into third party Multi-Layer Orchestration platforms. Emulation Cloud exposes the MCP platform and its underlying simulated Ciena 6500 Layer 0 network for live testing so there is no need to ship 6500 gear -- saving time and budget! It also dramatically reduces the amount of integration testing time required between multiple vendors and partners, as well as limiting the amount of travel and equipment being shipped between labs. With high first year marks for Ciena’s Emulation Cloud, what can we expect in the future? We’ve recently expanded the product portfolio to include our next generation NMS, Blue Planet Manage Control and Plan (MCP) and you can be sure that we’ll continue to add new lab configurations with the feedback we get from our community. Emulation Cloud is bringing a robust open API strategy to the table to simplify and improve the velocity of integration with OSS/BSS systems. Our customers continue to look at virtualization as a means to reduce IT development cycle times and optimize hardware resources. The ability to educate themselves on Ciena’s software and hardware while testing directly against our APIs in the cloud is helping them make the grade and evolve their networks faster. We invite you to join in this next evolution of Emulation Cloud. Share your thoughts. Ask questions. Make requests for new features. With the velocity of Emulation Cloud in your portfolio, you’ll be at the head of your class.